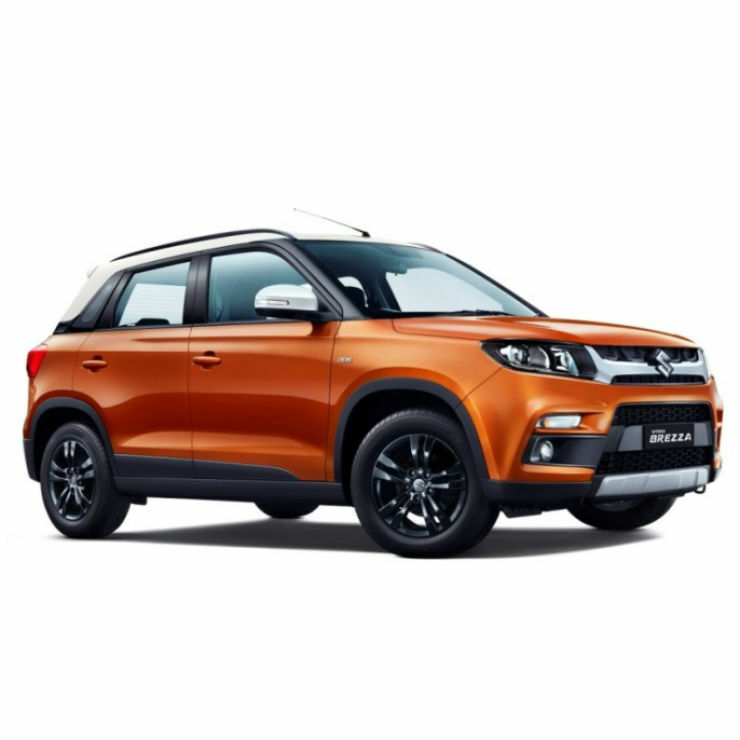 Maruti Suzuki India has launched the much-awaited automatic version of the Vitara Brezza in the Indian market. The AMT version of the SUV is available in three trim levels and the base price starts at Rs. 8,54,000. It also gets a new dual-tone colour option. The AGS version also gets a slightly different look from the regular version of the car. Maruti has added new blacked-out alloy wheels and new wheel arches that make it look different from the rest of the variants. The new additions are only done to the top-end versions of the car. The car also gets optional dual tone colour on the top version and Maruti has also introduced a new orange colour. The interiors have been updated to an all-black colour scheme. The Maruti Vitara Brezza has become the top-selling SUV in India soon after its launch. The compact SUV is available only with a diesel engine option. Its 1.3-litre DDiS diesel engine generates 88 Bhp and 200 Nm of peak power. It remains unchanged. Other features like ABS and EBD, reverse parking sensors, dual airbags and high-speed warning are offered as the optional features with the top-end variant. The high-speed alert feature is not available with the manual versions of the car. The launch of the Brezza AMT comes after the launch of the Nexon AMT in the Indian market. The Brezza becomes the third car in the segment to offer diesel automatic after the Mahindra TUV 300 and the Nexon AMT. Ford EcoSport and the Nexon also offer petrol automatic versions. The Nexon AMT is available in two variants – petrol and diesel. The petrol AMT is priced at Rs. 9.41 lakh while the diesel AMT is priced at Rs. 10.3 lakh. The TUV diesel AMT is priced at Rs. 10.1 lakh. This makes the Brezza automatic the cheapest diesel automatic in the segment.